Trader Vic’s Mai Tai is the iconic Tiki Drink — because it’s the better recipe. Vic originally created the Mai Tai as a showcase for a 17 year aged rum, with nary a fruit juice in the mix. “The flavor of this great rum wasn’t meant to be overpowered with heavy additions of fruit juices and flavorings,” mused Vic, however, his stern statement has since evaporated into the ether much like that of the concept of the original martini . 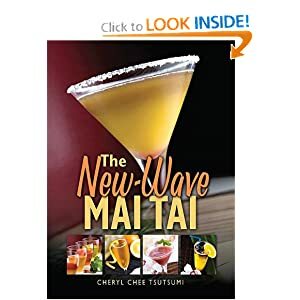 The “proper” Mai Tai recipe has a deep amber hue, resulting from the rums used to concoct the libation and not from any fruit juices or colored sweeteners. Trader Vic’s original aged rum is no longer available, but today’s rums make for perfect rum drinks, including the ubiquitous Trader Vic’s Mai Tai. Shake all the ingredients in a shaker with ice and strain into an old fashioned glass over crushed ice. To make simple syrup: combine 2 cups of sugar and 2 cups of water in a medium saucepan over medium high heat. Stir until sugar is dissolved. Bring water to a boil then reduce heat to medium and simmer for 3 minutes. Remove from heat and let cool. Simple syrup can be stored in the refrigerator, in a covered container, for 2 weeks.